Discovering cubism while studying in Europe, Eric Wilson was responsible for disseminating formative cubist ideas and methods in Sydney in the early 1940s, influencing both figurative painters and the emerging practitioners of abstraction in Australia. Brought up in semi-rural Liverpool, outside Sydney, Wilson was trained as a carpenter and joiner. He studied painting and drawing under Julian Ashton, Adelaide Perry and Henry Gibbons, and developed an early technical proficiency, producing works that were tightly drawn and starkly naturalistic. In 1934, supported by John Young of Macquarie Galleries, he held a solo exhibition in Liverpool, opened by Arthur Murch with whom he had painted at Thirroul on the south coast in 1933. Winning the New South Wales Travelling Art Scholarship in 1937, Wilson sailed for London and studied at the Royal Academy School under Sir Walter Russell. He shared rooms with William Dobell, a collegial association captured in the sketched double-portrait, The artist and William Dobell, London c1937, which helped shape the direction of his later paintings. A brief trip to Paris, where he encountered works by André Derain, Georges Rouault and Maurice de Vlaminck, roused his enthusiasm for modernism, which he pursued under Bernard Meninsky, Mark Gertler and Elmslie Owen at London’s Westminster School of Art. Under Owen’s tuition in particular, Wilson produced Braque-inspired cubist still lifes with shifting planes and juxtaposed contours, writing enthusiastically that Owen’s design lessons were crucial in shaping his practice into one that ‘recreated’ rather than ‘imitated’. Wilson subsequently studied at Amédée Ozenfant’s Academy of Fine Arts, which infused his work with a more formalised pictorial manner that responded to the Purist espousal of a ‘return to order’ and clarity, and the rejection of what was seen as postwar cubism’s retreat to ornamental excess. In 1939 he travelled extensively across Europe, sketching the bases for many paintings produced upon his return to Australia following the declaration of war. In 1940 Wilson began teaching abstract painting at East Sydney Technical College and exhibiting with the Contemporary Group. As a conscientious objector to the war, he was attached to Sydney’s Lidcombe State Hospital where he worked as a ward attendant from 1942 to 1944. He married the painter Jean Appleton in 1943. Wilson’s studies in Europe led his work in two directions – cubist-inspired abstract still lifes and portraits, and landscapes based on drawings made in Europe. Hospital theme – the sterilizer 1942 was created while Wilson was working at Lidcombe and exhibited at the fourth annual Contemporary Art Society exhibition as an exemplar of his cubist ideals. Based on the mechanics of a hospital sterilizing unit, the still life is composed of circular forms, cylinders, pipes, vents and modelled steam that portray the engine of a polished and efficient entity reflecting the Purist ideal of order. Painted the following year, Abstract – the kitchen stove 1943 epitomises Wilson’s assimilation of Ozenfant’s aesthetics. Constructed around lines which delineate a triangular composition, its apex formed by the pot on the stove leading up into the stove-pipe, the painting demonstrates Wilson’s attempt to create an 'orchestration of the formal elements into a symphonic whole’. While working as a hospital ward attendant, Wilson also made a number of emotionally expressive portraits of the residents in Wards 27 and 28 at Lidcombe, which housed approximately ninety patients each, most suffering either advanced senility or terminal illness. These drawings, including his Studies of old men 1943-1945, contributed to paintings such as The inmates 1944, a grim and sombre character analysis that suggests the impact of the de-humanising effects of the war on the artist’s work. 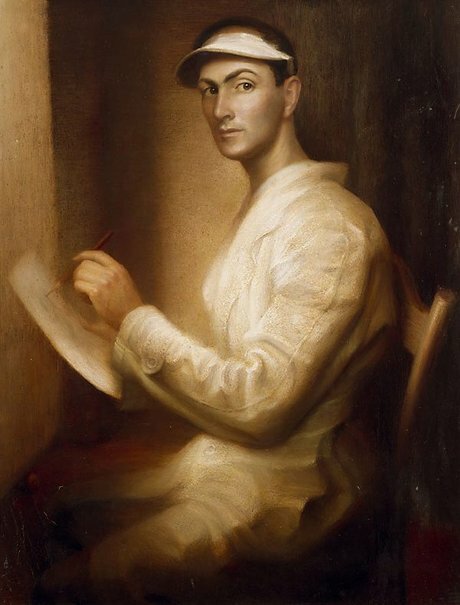 The year before his death from cancer in 1946, Wilson submitted Self portrait 1945 to the Archibald Prize, which was selected as a finalist and acquired by the Art Gallery of New South Wales in 1959. 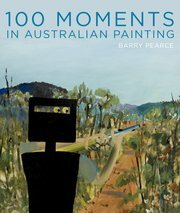 A retrospective was organised by the Newcastle Regional Art Gallery in 1983 and his work was subsequently featured in the exhibitions Australian Cubism at the Heide Museum of Modern Art, Melbourne, in 2009, and in Sydney Moderns at the Art Gallery of New South Wales in 2013.